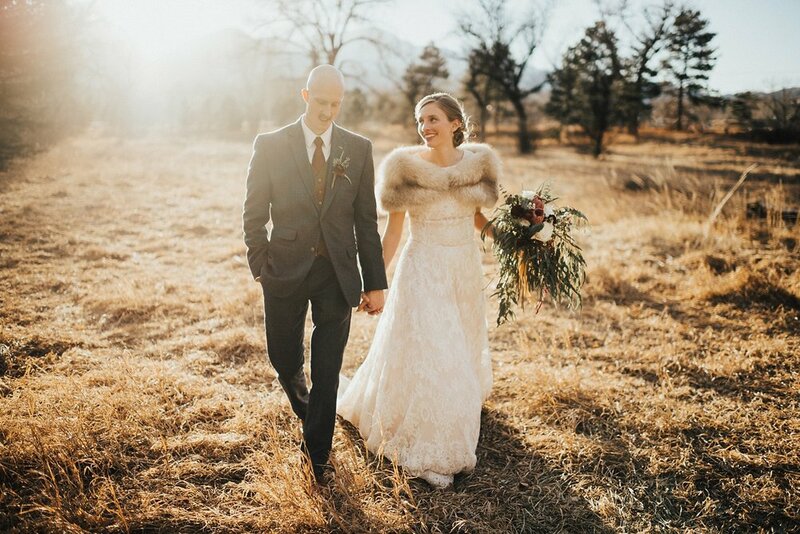 "February might not sound like the ideal time to get married in Colorado, but we took advantage of open schedules for guests and vendors alike, and we were pleasantly surprised by a warm and sunny day in the middle of winter. We wanted a wedding that was both traditional and still personal to us, something that honored our parents while reflecting our values, where everyone would feel comfortable and celebratory. We held the ceremony at a large and beautiful chapel, a space that didn't need much decorating to set the tone. We chose not to do a first look and waited to see each other in the chapel. We then built in a long cocktail hour so we could take couple photos when the light was at its very best. For the reception, we decided on a venue that came with a lot of the pieces built in: delicious food, lovely but unadorned design, energetic staff, and great brews--and no need to rent anything but a sound system! We utilized our strengths to make the day our own. I spent a lot of time planning, organizing, and assigning volunteers so that the day went smoothly. The groom spent countless hours creating custom woodworking pieces for everything from the centerpieces and favors to the cake stand and pipes for the groomsmen. The result was just what we wanted: we got the quality we hoped for while not breaking the budget, we achieved the feel we wanted with personal touches, and we got a better party than we imagined while still having some quiet moments in the day. 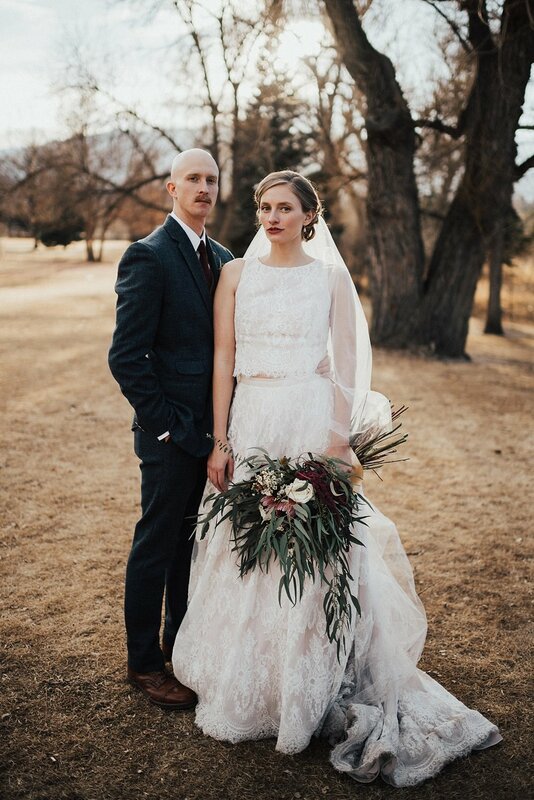 Our wedding was a fitting farewell to Colorado Springs, the city where we met and fell in love, and the perfect beginning of our new life together."